Description: Fishing sitting on his cooler with his tackle box and juice close by! This little guy is the has got it made. He is a cuttie. Love this pic. Even his little feet are crossed. Great picture! This shot is priceless. It reminds me of a Norman Rockwell painting. 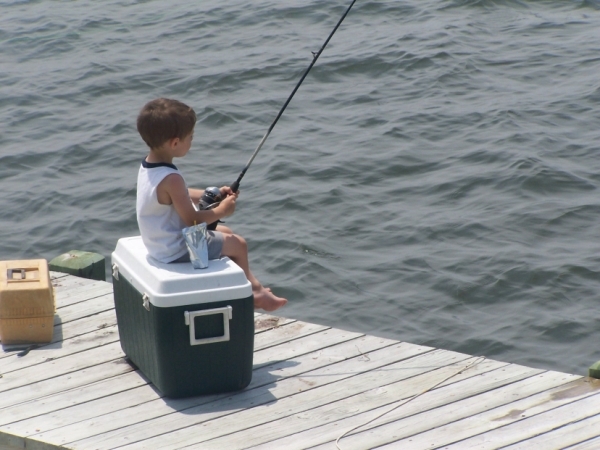 This kids got life figured out already.A big cooler and a day of fishing.